This is a great way to restore an irreplaceable fuel tank! FUEL TANK REPAIR is more than just pouring in a quart of sealer and sloshing it around. If gum, varnish, sludge, or fuel are inside, they must be removed first. Our U.S. STANDARD TANK SEALER™, like all other sealers, will not work in a contaminated tank. 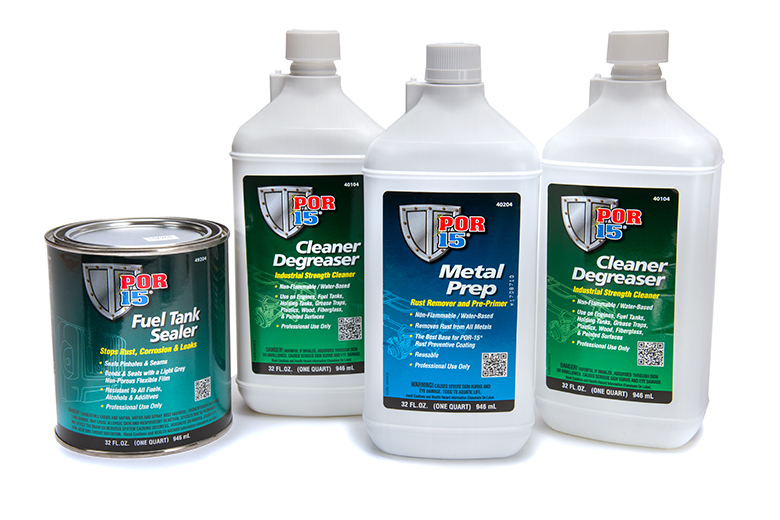 Find out what the pros already know... our FUEL TANK REPAIR KIT has everything you need to do the job right! DETAILED INSTRUCTIONS so you'll do the job right.